Below are some of our bespoke one-of-a-kind cat furniture pieces that we've made some of which have become part of our products - we hand make our products in our London studio so please get in touch if you have something special in mind. These were prototype pieces that our cats tested for a product development study - the idea was to come up with a platform that could be retro-fitted to our Polecat unit to give some perching & sleeping options. The units were made of a stainless steel frames that held a contoured piece of thick leather hide - we now produce a version of the Cat’s Cradle that’s available for purchase online. The unit is finished in Natural Coir with a Black Twist Pile Worm Hole - it comes with a Fat Pad cushion & can be used either way up to give various depth sleeping, perching & hideaway options. This was a development of the Fatcat Bird Nest but with a shelf & produced as stock items in various wool finishes - like the Bird Nest it has 4 different depth perching & sleeping options & this particular unit was finished in a very luxurious wool finish from Crucial Trading carpet called Fabulous Wool. These stools have a clean aesthetic & can be made with various top shapes, finishes & colours to give your cat a special piece of furniture to do its thing on plus a comfortable platform to sit & sleep on. The stool is normally made at around 350-450mm high with a 470mm wide top to accommodate the 120mm diameter legs. The tops can be finished in different materials but we've found that twist pile carpet works best with square or rectangular tops & paint finish for circular or curved shaped tops - painted tops can also have cut-outs & edge profiles whereas carpeted tops are restricted in terms of edge & contour details. The units have 3 or 4 legs depending on the top shape & they are normally wrapped in 6mm sisal rope but can be covered in larger diameter sisal rope, carpet or other materials. A minimal design that provides great form for scratching - this floor-standing pipe is extra long to let your cat have a very satisfying scraaaatch. They can be made to length but 800mm is a good size to cover your cat's longest reach - the pipe diameter at 120mm also works well but this can be increased to 180mm. The tube can be wrapped in sisal rope or covered in carpet - MDF end caps finish off the unit & these can be clear lacquered over the MDF or painted to a colour. The pipe needs to be filled with sand as this makes it very stable & means that it won't topple or move while your cat's doing its thing. This was a one-of-a-kind 700mm Bobcat that was fabricated to specifically test a new ribbed wool fabric that we wanted to use on our floor-to-ceiling units. The internal finish was a Black Twist Pile & because the unit was made for our cats we also took the opportunity to build in a concealed compartment to store their toys. This was the first version of a Hicat® that we built - it was covered in 10mm diameter sisal rope & had acrylic end caps but can be made using 6mm, 8mm or 10mm diameter jute or sisal rope & finished with just a wound rope end detail. We've made various versions of this minimal but very practical scratching deck design - the deck normally fabricated at 480mm square & is mounted on 4 35mm metal feet that have a rubber caps on them & this stops the deck from moving but also allows toys to be coaxed under the deck to encourage play & scratching. 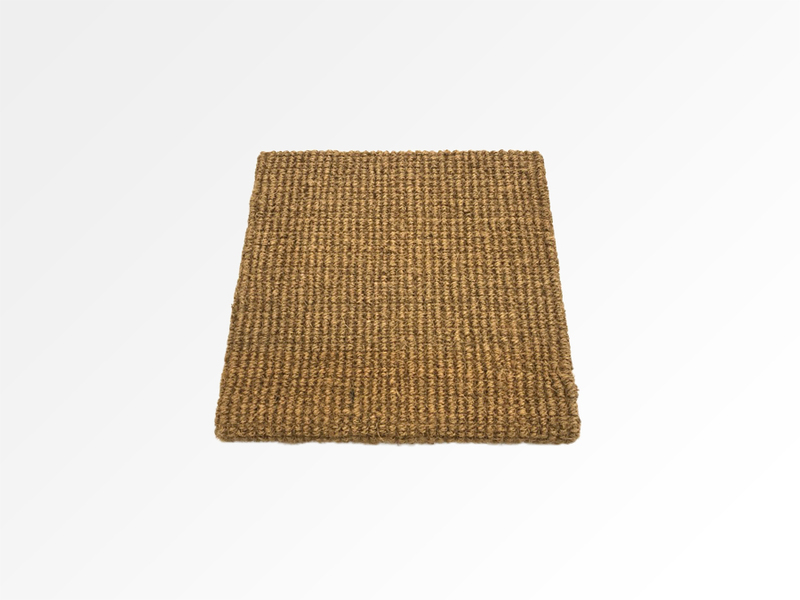 They have been made in version finishes including sisal, coir, sisal-coir mixes & sisal rope. Used as stepping stones these were specifically made to help an older cat access our units - the podiums were sized as our Tomcat units i.e. 337mm diameter at 200mm & 400mm height & had flat tops covered in coir. These simple clean-looking shelves are generally made between 400-800mm long, 250mm deep & 50mm thick. They can be covered in Twist Pile Carpet or Coir & are secured using a concealed fixing to give a modern contemporary look but because of loadings these shelves need to be installed onto masonry walls.